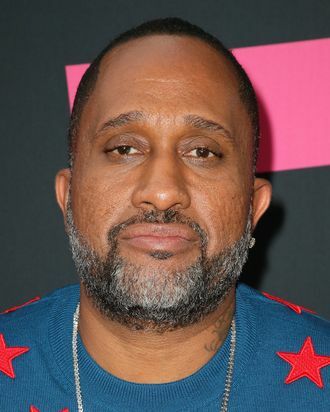 Black-ish creator and Girls Trip writer Kenya Barris has landed at Netflix with a multimillion-dollar overall deal, just six months after ABC scrapped a politically themed episode of the writer-producer’s sitcom for “creative differences.” The pact is no surprise: In April, The Hollywood Reporter broke the news Barris was looking to leave ABC’s studio arm for Netflix, and late last month, Barris and the Disney-owned company confirmed they were breaking up three years before their existing agreement was set to expire. Barris is the latest powerhouse producer to leave linear TV for Netflix, joining Ryan Murphy and Shonda Rhimes in setting up shop at the streaming juggernaut. Netflix’s description of its agreement with Barris said only that it is “a multi-year overall deal to produce new series exclusively at Netflix, starting today,” and that all projects would be funneled through the Barris-led Khalbo Ink Society. THR last month described the agreement as a “nine-figure” deal over the course of its lifetime (likely three to five years). A Hollywood agent not directly connected to Barris but familiar with such deals says it’s understood the deal will end up being worth around $100 million. (Murphy and Rhimes both signed deals estimated to be worth well over $100 million — some reports have suggested as much as $300 million.) Though rich by any definition, those dollar amounts are in line with what the top producers in linear TV have made historically once profits from the sale of reruns of their shows — a.k.a. syndication revenue — is tallied. Netflix doesn’t sell shows it owns to other outlets, so it has to pay producers more to compensate for what their creations would earn in traditional syndication.